For the sequel, see Need for Speed: Hot Pursuit 2. 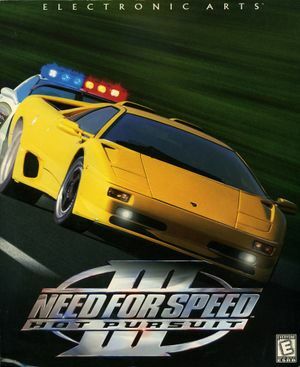 For the 2010 game, see Need for Speed: Hot Pursuit. Use Need For Speed III Modern Patch to install and run the game on modern systems. All official add-on cars (and their showcases) were released for free by EA. All official add-ons come as *.exe files and can only be installed if game was installed with original installer and all registry entries are present. The patch contains support for widescreen resolutions as well as a lot of bugfixes. Download the Need For Speed III Modern Patch. Copy FEDATA and GAMEDATA directories from the NFS3 CD to a new empty folder. Extract contents of this archive into that folder with replacement of files. No need to install, just play the game! Install Need For Speed III Modern Patch. See Need For Speed III Modern Patch. "Narrow" and "Wide" options available in the 'View Angle' setting in the Graphics menu. Install Need For Speed III Modern Patch (v1.6.2 currently in beta). 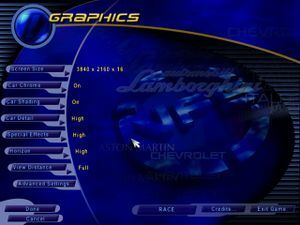 Menu Music, Race Music, Effects, Engine and Speech sliders available. Stereo, Mono, Dolby Surround and DS3D/EAX. Original installer doesn't work on 64-bit systems. Doesn't need an installer and works on any Windows OS. To install on 64-bit systems, use this fan-made installer. It supports multiple languages and it has necessary compatibility fixes already implemented. The fan-made installer will automatically set the language to German. After installation, follow these instructions to change the language. Open install.win in a text editor such as Notepad. Change the language displayed in the first line to one of the five languages mentioned in the file (i.e. English, German, French, Spanish, or Italian). The language must be typed in all lowercase letters. Save the file and play the game. It should now be in your desired language. Adds add-on vehicles and street vehicles to the game menu. This page was last edited on 11 December 2018, at 01:51.